It is 2016 already, and many of you are preparing for the upcoming archery season, or already enjoying March hunting that occurs in many states. Early in the year is a great time to buy a bow…well if you are like me anyway and just love new technology and toys. We chose 5 bows to look at for 2016, and believe, based on our tests, our research, and the literature provided by these bow companies that we have identified 5 best of 2016 bows that you should consider. 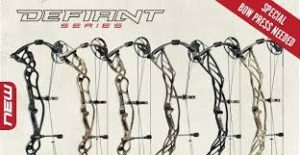 This best bows of 2016 article utilizes our knowledge, our test, and information from Hoyt, Bear, Prime, Bowtech, and Mathews web sites. We put each bow through the exact same test, using the same arrows, heads, release, and rest. We did vary the site used, but all were fixed sites with no sliding pins. We set up the bows using a whisker biscuit, a fixed pin sight, Gold Tip 7595 29 inch arrows, and a 125 grain field point. The total arrow weight as weighed on my powder measurer came in at 490 Grains. We shot each bow through paper to make sure we had the bow tuned correctly, and set each bow to a 29 inch draw. We then sighted in each bow and were comfortable that we were hitting the center of the target consistently. The bows were all very easy to tune, and we ran into NO problem with these steps. Each bow was shot about 25 times at an indoor range, and then shot outside through a chronograph to check for speed. We performed this test over the course of about 2 weeks and utilized 3 different archery ranges in Idaho and Utah: Mountain Archery in Rexburg Idaho, Jakes Archery in Orem Utah, and Sportsman’s Warehouse in Provo Utah. The guys at all 3 of these shops were outstanding to work with. The escape is Bears 2016 Flagship bow, or said another way, their 2016 top end bow. 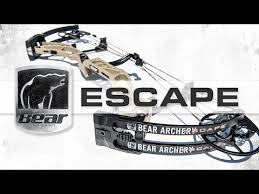 Bear says this about the Escape Bow: This is about intenseness, engineered to deliver an arrow at a blazing 350 fps with one noticeable difference: You never felt it coming. That’s because we’ve shaved off weight by employing a strong 7075 aluminum riser and cams for a heavenly balance of strength vs. weight. And it gets better. With a 6” brace height, the Escape still feels noticeably forgiving for a bow this powerful. Add the 32” axle-to-axle length to the equation and you’ve got a born killer that feels neither too long in tight spots, nor too short it won’t perform. Bottom line: This is the premier lightweight option for us speed freaks, and the only thing it sacrifices to get you there is the baggage. You are bowhunting bred. You know there are easier ways to hunt, common ways that require less stealth, precision and passion. But you are not common; you live to defy odds. The Defiant will give you a sharp, odd-defying edge. Like its carbon brother, the Defiant boasts the new dual-rocker pocket system and UltraFlex limbs, along with aggressive new cams and the first ever Hoyt limb-stop option. Turn every head but that bruiser buck’s. Deviate with Defiant. •	Smooth, fast and powerful DFX Cam & ½ system. •	Dual Cable Stops for a solid back wall. •	Optional limb stop for a no-play back wall option, for comfort and consistency. •	Rotating cam modules allow easy adjustment without module replacement or a bow press. •	Multilayer laminate UltraFlex limbs. •	Zero-tolerance limb to pocket connection for precision and accuracy. •	Zero Torque Cable Guard system eliminates torque for dead-on alignment. 3: Mathews Halon 5, Halon 6, and Halon 7. The all new 2016 HALON™ is our hardest hitting flagship bow to date. Inspired by NO CAM™ technology, the Crosscentric™ Cam employs a partially concentric string payout and AVS® Technology to produce a stealthy draw and consistent accuracy while delivering speeds up to 335 feet per second. Wider, more torsionally rigid limbs and our new dual-bridged riser is designed to support this powerful cam system and endure the toughest hunting conditions. A true-center nocking point ensures straight and level nock travel, further enhancing shot-to-shot consistency. Outfitted with the new FlatBack Grip™ and industry-leading Harmonic Damper® and Harmonic Stabilizer,® the HALON™ is rock solid and deadly quiet. 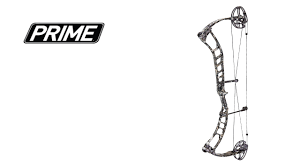 The all new for 2016 Rize Bow by Prime it has a great combination of speed accuracy and shootability. The dual cable / Cam system gives this bow virtually no cam lean, and a very accurate shot. The Rize in 2016 has a new 82x Aluminum riser, a new Limb bolt bezel, and a new Flexis Flexshock damer. This bow is known for its HARD stop back wall due to the stop being set against the limb and not the string. It is easy to hold back, and is accurate as heck! The BT-X is available with a 28″ cam system and a 31″ cam system. Draw smoothness: HARSH, this bow at 70 pounds was much harder to draw than any of the other bows set at the same weight. Odd, but several of us noticed it. Draw smoothness: Mild, this bow draws back smooth and easy. Hand shock upon release: Medium, had more vibration than any bow. Draw smoothness: SMOOTH, the Halon was silky smooth to draw! Hand shock upon release: NONE, the Halon lead in the category! No vibration or hand shock. Draw smoothness: SMOOTH this bow lead in draw smoothness, silky and easy to draw, very hard and solid back wall! Hand shock upon release: Mild, very well dampened bow for such a fast shooter. Our best bows of 2016 was a fun exercise that took us several weeks to complete. It gave us a great deal of confidence in the new 2016 line up of bows from Mathews, Bear, Hoyt, Prime, and Bowtech. As most bow hunters know, there are several things that way into the purchase of a new bow. The ability to have a good store and good customer service close, the bow performance of the bow, and how it feels to the individual. We are confident that each of these bows would perform very well for any archer. We did end up giving the highest overall score to the Mathews Halon 7, and the Prime Rize. The other bows however would be outstanding choices if you have a shop nearby or they just feel better to you. Hope you enjoyed the read, and the review, we enjoyed doing it.